This is intended to be a gathering place of information I've come across on a couple of forums, some dedicated to the Suzuki GS500. I would like to especially thank everyone on the GSTwin.com forum for all their encouragment, guidance and knowledge. I found that the wealth of information there was being lost, buried and difficult to find, leading to many questions being asked again and again. I'm hoping this site will be a compilation of those "how-to's" and general information regarding the GS, including some mods of my own. Many of the mods here I haven't done (yet?) or don't plan to do but wanted everyone to have easy access to the information. Everything here has been done by someone so it's all possible. pantablo AT yahoo DOT com but I don't necessarily check that daily. To get me sooner, find me at the member forum of www.gstwin.com and Private Message me. 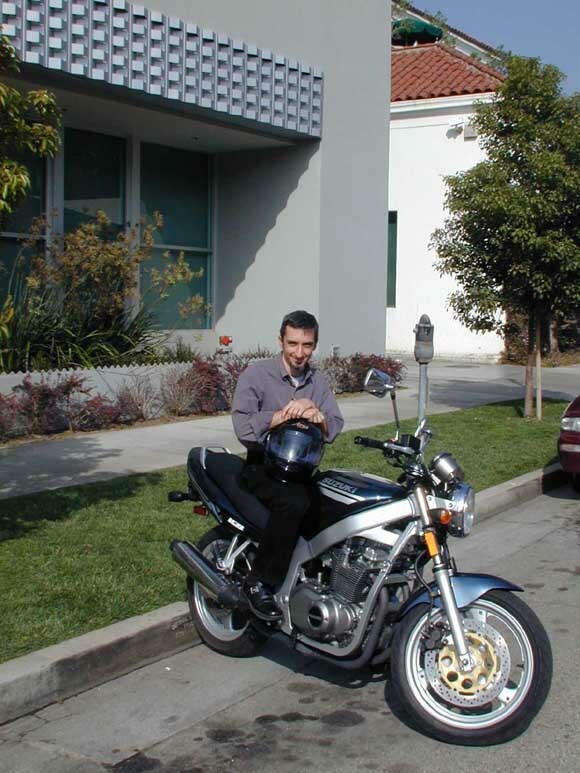 Well, after 16 months and 9,000 blissful miles I sold the gs500 to a nice gal in San Diego. Then I bought my dream bike, a 2004 Honda cbr600rr on May 15th, 2004. From intrepid MSF graduate to trackday junkie in less than 2 years. I can't even begin to tell you how great a learning tool the gs500 was. As a first bike it will teach you to be smooth and how to ride fast and smooth in a 'spirited' manner. 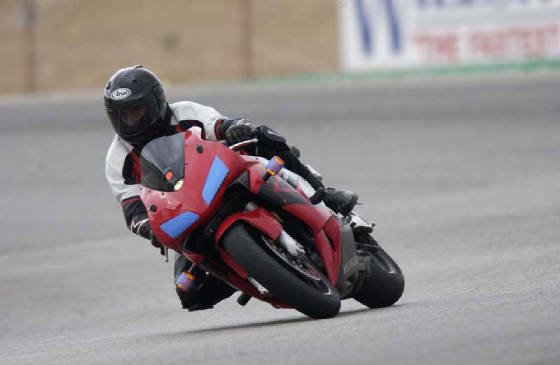 When I first got onto the 600rr I was fast right away. There really is no better way to learn to ride, and ride fast, than a small bike. Yes, I've since gotten rid of that fender! Disclaimer (Modify your bike at your own risk): The access and use of the information on this site is at the user's own risk. The author of this site assumes no responsibility for and disclaims any liability for any damages, including without limitation, direct, indirect, incidental, consequential and special damages, alleged to have been caused by or in connection with the access, accuracy and/or use of the information presented here. The materials contained on this website are provided for general information only and do not constitute any form of advice. Links to other websites from these pages are for information only and the author accepts no responsibility or liability for access to or the material on any website which is linked from or to this website. By providing links to other sites, the author does not guarantee, approve or endorse the information or products available at these sites, nor does a link indicate any association with or endorsement by the linked site to its author. No guarantee is given regarding information which has been sourced from third parties. Please email the author should you find any discrepancies or errors or if you have any comments on the website's content.